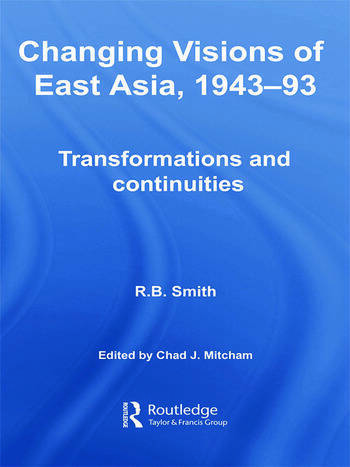 Ralph Smith was a highly respected historian who, at the time of his death in December 2000, had nearly completed a manuscript chronicling changes in the East Asia region since 1943. This fascinating work, completed and edited by Chad Mitcham, one of Ralph Smith’s former students, himself a specialist and established author in this field, draws together the product of Professor Smith’s research at archives in Britain, France, Japan and the United States, extensive reading and international travel from 1966 to 2000. The book also incorporates a distillation of ideas and themes explored in his earlier papers, articles and books, including Ralph Smith's pioneering three volume work, An International History of the Vietnam War. It shows how both Ralph Smith’s thinking about the future course of the region and the broader context of regional prospects radically changed throughout this turbulent time. As Ralph Smith’s last major research project, carried out from 1997 to 2000, the book has evolved from his 1997 paper ‘Visions of the Future: East Asia in 1943 and 1993’, delivered in the Huang Hsing Foundation Distinguished Lecture at the Asian Studies Centre, St Antony’s College, Oxford. It is a vital contribution to post-war Asian history. R.B. Smith was Professor of the International History of South-East Asia at the School of Oriental and African Studies, University of London, where he taught from 1962-2000. His works include Viet-nam and the West (1971); and the three volume: An International History of the Vietnam War (1983, 1985, 1990). Chad J. Mitcham is a Canberra-based writer and researcher. He completed his PhD at the School of Oriental and African Studies, University of London and is the author of China’s Economic Relations With the West and Japan, 1949-79: Grain, Trade and Diplomacy (Routledge, 2005).